Forever ahead of the curve, Matthew Herbert dropped this 3 track EP on Classic all the way back in 1996 and every track featured sounds like it could easily have been released yesterday. 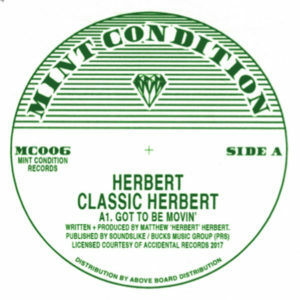 Such is the genius of Herbert, always managing to be one step ahead of most other producers, whether it's producing slamming house like 'You got to be moving', rolling emotive electronics like 'Fat king fire' or subtle, shifting percussion confusing jams like 'Housewife' all of his tracks retain this fresh energy that can't be pigeon holed. 'Classic Herbert' is exactly that, a 3 tracker that defies genre, celebrates the eclecticism of it's producer and still manages to be slamming (& classic) in the process! Essential stuff! This EP has always been tough to track down, proving to be a very sought after gem in the vinyl digging world. A repress was definitely needed! 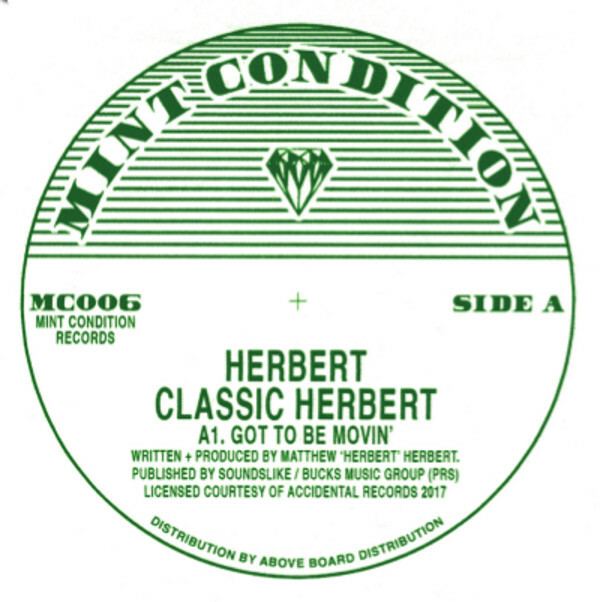 'Classic Herbert' has been legitimately re-released with the full involvement of Matthew Herbert for 2017 and remastered from the original sources specially for Mint Condition. 100% legit, licensed and released. Dug, remastered, repackaged and brought to you by the caring folks at your new favourite reissue label - Mint Condition!